The ‘song’ version of the Ugly Duckling, written by Frank Loesser, has always been my favourite interpretation of this classic Hans Christian Anderson fairytale. An ugly duckling is thrown out of the nest by the other ducklings, because he is different, then has to search for somewhere he’ll fit in and be accepted. Justine Clarke, children’s entertainer and playschool presenter, brings fresh life to this story on the CD recording which accompanies this picture book. In a flurry of eiderdown. Beautifully illustrated, Eckstom’s soft colours and expressive faces bring out the emotions of the story and gently articulate the themes of loneliness, isolation and belonging. This is a gorgeous book. Young children will fall in love with this ugly little duckling – from his beginning conversation with a goldfish, to the cheeky wink at the end –eagerly following his journey again and again. They will also love the CD, singing along with Justine until they know it by heart. 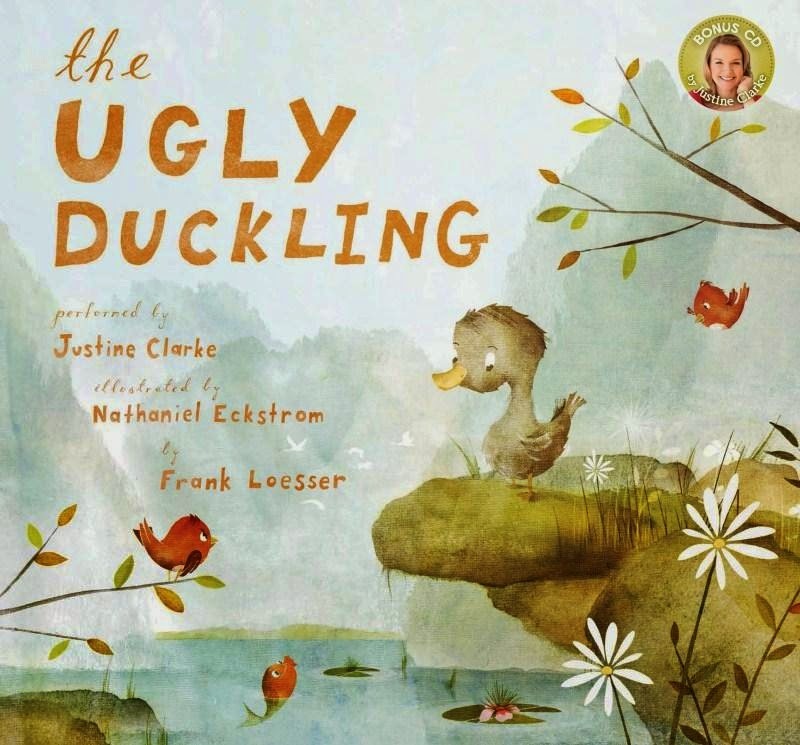 The Ugly Duckling would make a lovely gift for any baby, toddler or preschool aged child.